Warranty Details HP has 1 Year Limited Warranty on Manufacturing Defects. Find the best deal with lowest price of Hp Pavilion 15G-BR019TX (2XP01PA) Laptop is Rs. 47599.00. Price of Hp Pavilion 15G-BR019TX (2XP01PA) Laptop is updated today on 18 Apr 2019. All Hp Pavilion 15G-BR019TX (2XP01PA) Laptop price is in Indian Rupees. Buy online Hp Pavilion 15G-BR019TX (2XP01PA) Laptop having Intel Core i5 7th Gen processors, 4 GB RAM, 1 TB Hard Disk in India from Amazon, Flipkart online stores. 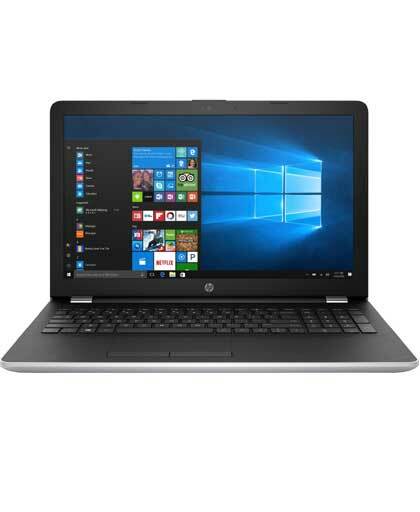 Check HP 15G-BR019TX (2XP01PA) Laptop series Core i5 7th Gen (4 GB/ 1 TB HDD/ Windows 10/ 2 GB Graphics/ 15.6 inch) specs, price, reviews, configuration, specification from various online stores. HP 15G-BR019TX (2XP01PA) Laptop series Core i5 7th Gen (4 GB/ 1 TB HDD/ Windows 10/ 2 GB Graphics/ 15.6 inch) is ideal for Entertainment, Performance, Processing & Multitasking, Everyday Use, Travel & Business. Get today's best offer for Hp Pavilion 15G-BR019TX (2XP01PA) Laptop. HP 15G-BR019TX (2XP01PA) Laptop series Core i5 7th Gen (4 GB/ 1 TB HDD/ Windows 10/ 2 GB Graphics/ 15.6 inch) available to delivery in New Delhi, Mumbai, Bangalore, Chennai, Hyderabad, Pune, Jaipur, Lucknow and many major cities of India.